It’s a new year time for new resolutions, Goals and reaching for the stars! It’s been a very busy start for me I have a goal of making at least two quilts a month. That means cutting,piecing and top quilt it’s not that big of a goal but I really need too stay on task and focus on my too do list. 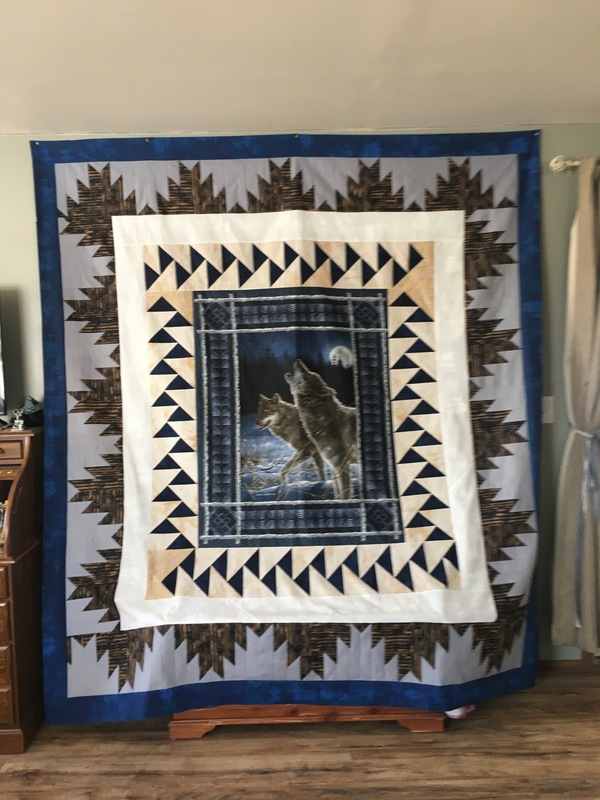 This quilt Wild Wolves 🐺 is actually a special request quilt for a friend of my moms. After many months of trying too find the right center piece for the focal point I finally found it actually from a good friend so it was a win win. 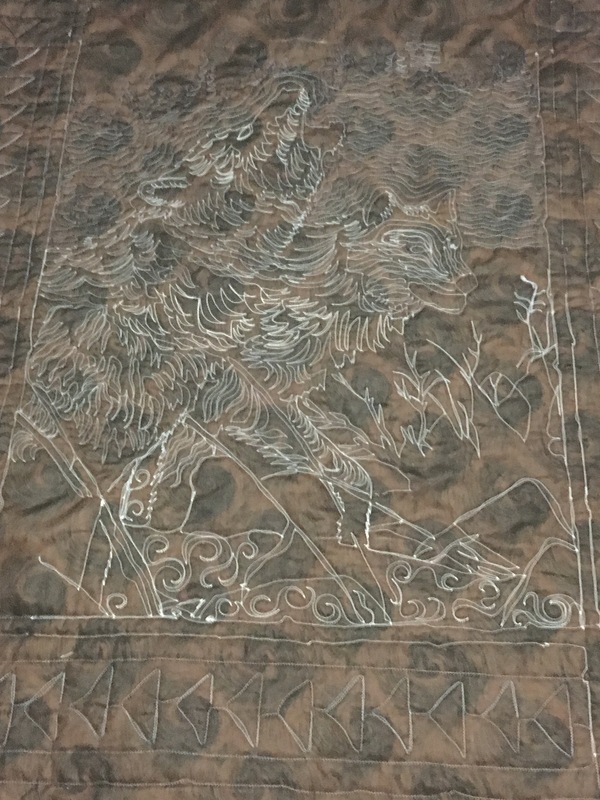 I had the plan of flying geese paired with delectable mountain, In this quilt I think it finished it off beautifully. It’s a large quilt for me measuring at 96×96. 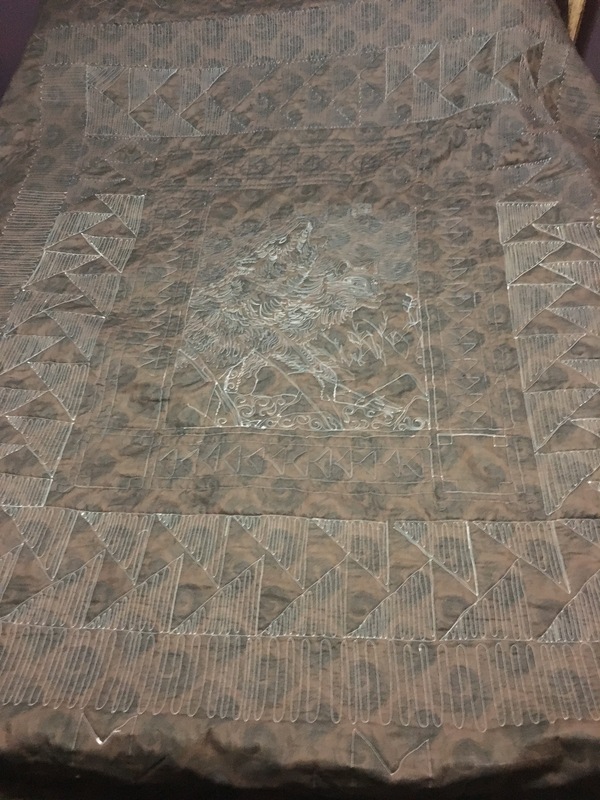 So I’m happy it’s my first finish for the new year and it’s the first quilt I have top quilted with my long arm, I had some tension issues at first but after some diligence I figured that issue out. Making this a fun quilt too work on. 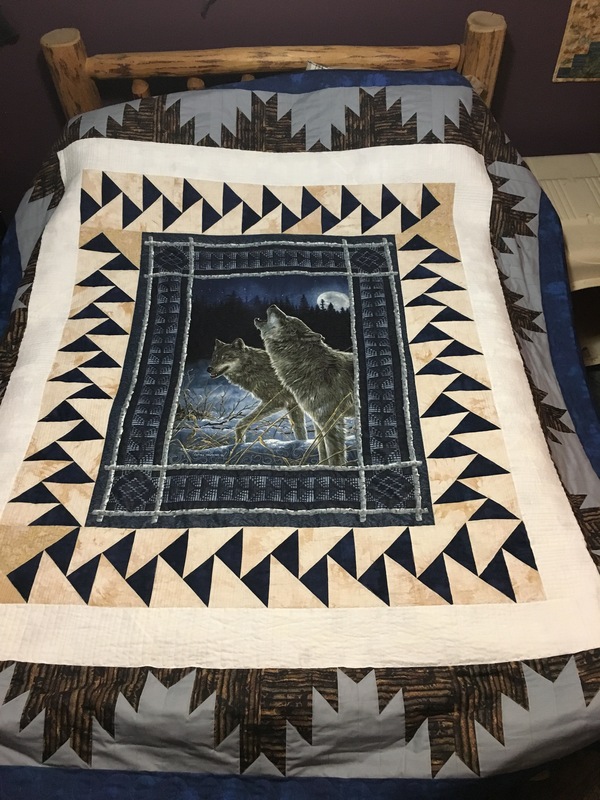 It’s quilted with continuous loops and swirls, paired with accent quilting around the Wolves and outline quilting for the delectable mountains and a simple swirl in the outer border. I want to thank you all for following me in my quilting journey, I have a lot of exciting things planned this year!! This summer I will release more details about a pattern that I designed that will be featured in a quilting magazine mid summer. So stay warm and until next time have a blessed start too the new year!! !